The UGC decision allowing higher education institutes to offer online courses could have many pros and cons. Check out the most common questions about the decision. 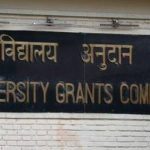 The University Grants Commission (UGC) released a circular on January 4 inviting online applications from all from all eligible Higher Educational Institutions (HEls) to grant courses/programmes in online mode from 2019-20 academic session. This move takes forward the decision taken last year to open up HEIs to online courses to enhance access to higher education in India. But when even regular education mode with classroom teaching is filled with problems, is this extra initiative a good move? Currently, a student can get a degree only via full-time courses at a college or university by attending regular classes, or through distance education. From 2017, the government had allowed universities to offer 20% of their course material through the Massive Open Online Courses (MOOCs) platform called Swayam. Even though many private universities offer online courses, very few students opt for them as they are not recognized by the UGC. This is set to change now. The UGC decision to allow HEIs to conduct online courses will help many students and professionals study online and get their required degrees or certificates. India aims to attain a Gross Enrollment Ratio (GER) of 30% in higher education by 2020; currently it is 25.2%. “Meeting the 30% GER target isn’t a possibility through building more brick and mortar institutions. However, making intelligent use of technology can surely help India reach that level,” says Dr VS Rao, President, NIIT University. In January 2018, the government mandated that 15% of Indian universities must deliver online degree courses. Available data also suggests that India is one of the fastest-growing online education markets, pegged to touch USD 1.96 billion by 2021. However, from proxy students, and the requirement of high-end technology, to the lack of attention or drive in students to complete allotted study portions, online courses for higher education can come with a host of issues which suddenly show the UGC decision in a different light. Read: Is online learning making education easier? 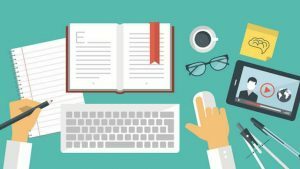 The UGC decision to allow higher education institutions to offer online courses to provide degrees could be game changing for the education sector. 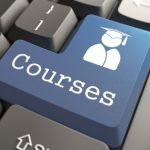 What did UGC (Online Courses) Regulations, 2018 state last year? 1. The UGC (Online Courses) Regulations, 2018, were approved last year wherein HEIs were allowed to offer online courses for those particular programmes which had been approved by the statutory councils. 2. Thus, those courses which were being offered in regular mode, open mode, or distance learning mode for graduation were allowed to be hosted as online courses as well, as long as at least one batch had graduated in those programmes. College degrees offered only via the online education mode are not recognized. 3. The degrees, diplomas or certificates offered by the UGC-recognised Open and Distance Learning (ODL) institutions should be treated as corresponding degrees of regular institutions. 4. HEIs would have to exist for at least five years and get a minimum 3.26 NAAC accreditation on a 4-point scale to be allowed to hold online courses. The institutes would also need to be among the top 100 as per NIRF for at least two years of the previous three years. 5. “Overall Regulations provide enabling provisions for maintaining sanctity of admissions, teaching-learning, examination, authenticity of the learner and mandatory disclosure of Programme-wise information such as duration, start & end dates, fee, number of students, name of students with identifier, results, on HEI website/public domain,” the statement said. 6. Programmes requiring practical/ laboratory courses as a curricular requirement would not be permitted for online courses, meaning engineering, medicine, dental, pharmacy, nursing, architecture and physiotherapy programmes cannot be carried out online. 7. The exams for these online courses would be carried out in the proctored mode and would conform with all the UGC norms. 8. The content of online courses shall have minimum four quadrants — video lectures, e- content, self-assessment, and a discussion forum to clarify doubts. 9. For all online interactions including teaching-learning and examinations, Indian and foreign students would need the Aadhaar and Passport for authentication purposes. 10. The delivery of the programme will be through the SWAYAM portal of the government under which online courses are offered, the statement said.